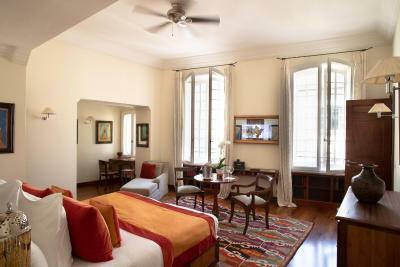 Lock in a great price for Pan Dei Palais – rated 9.4 by recent guests! Our second visit to this gem of a hotel. Absolutely love the place. 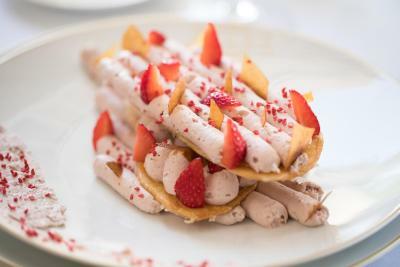 The staff is exceptional, the room and grounds perfection. Location terrific and tres convenient. The entire hotel staff were unbelievably fantastic. I travel for business a lot in some of the best hotels around the world and it is very rare to find hotel staff better than Pan Dei Palace. Even the Valet gentleman greeted us personally by name. Such a great experience and we will definitely be back to St Tropez just to experience this again. Thank you! Wonderful & friendly staff. Beautiful pool area was very relaxing. Little touches, fruit, cookies & water in the room, plus 2 bottles of water in our car upon our departure. Perfect Location. Ideal for a stay directly in town and joining the night life. Friedly staff. Good quality room/furniture. Beautiful! Clean, friendly, beautiful, quiet. Nice & helpful staff. Everything about this hotel oozes class. The staff are amongst the best that I've come across and the fixtures and filttings are all beautiful. The location is great for pedestrians. 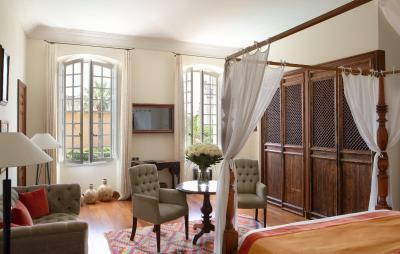 This luxurious hotel features an oriental-palace-inspired décor and is located in the center of Saint Tropez. It has an outdoor pool surrounded by sun lounges and a pool-side summer bar. 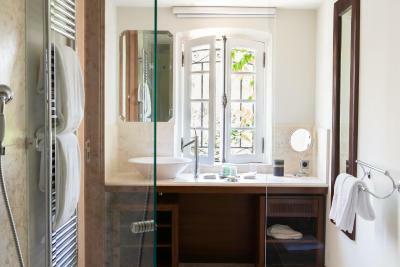 Pan Dei Palais offers air-conditioned and spacious suites equipped with mini-bars, free Wi-Fi access and large private bathrooms. 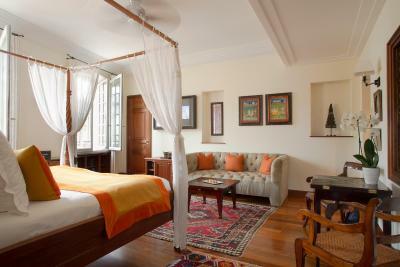 Some suites also have views of the swimming pool, and some feature four-poster beds. 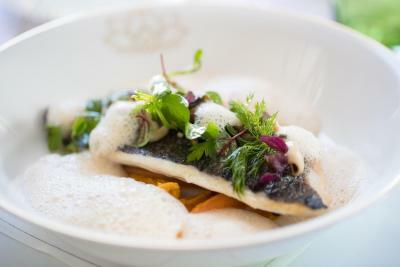 Guests can enjoy exotic cuisine in the Pan Dei’s restaurant, followed by an after-dinner drink in the Esprit Lounge bar. Room service is also available. The Palais has a spa and health club, where guests can enjoy the hammam or a range of body and beauty treatments. Additional facilities include an on-site currency exchange and car rental. 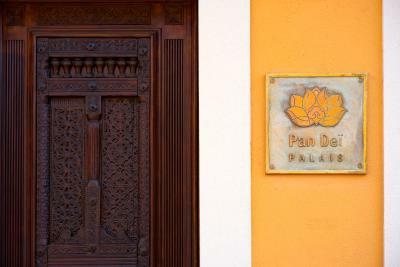 Pan Dei Palais is just a 3-minute walk from the Mediterranean Sea and the port. Saint-Maxime is a 20-minute drive away. This property also has one of the top-rated locations in Saint-Tropez! Guests are happier about it compared to other properties in the area. This property is also rated for the best value in Saint-Tropez! Guests are getting more for their money when compared to other properties in this city. 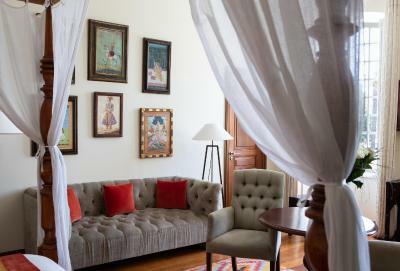 When would you like to stay at Pan Dei Palais? This room offers a view of the city. It features a seating area and a TV. This suite can accommodate 1 or 2 children on a sofa bed in the living room. The spacious suite features a private balcony with a view of the village, and is equipped with a flat-screen TV in each room. This room offers a view of the garden and the pool. It includes a TV and a mini-bar. House Rules Pan Dei Palais takes special requests – add in the next step! Any additional older children or adults are charged EUR 89 per night for extra beds. Pan Dei Palais accepts these cards and reserves the right to temporarily hold an amount prior to arrival. Very small wardrobe/space for clothes. Shower not great if you want to keep your hair dry. Very small rooms. Noisy during high season. Really not for somebody seeking a quite location. Such a friendly and kind staff! Great service.